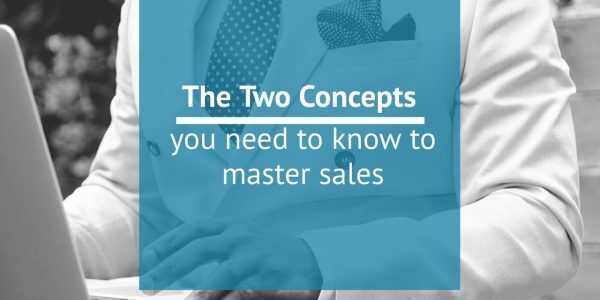 There are only 2 concepts you need to understand in order to really get your head around sales and marketing. The concepts are simple, but many people and businesses struggle with implementation. You’ve likely heard the phrase “don’t sell the product, sell yourself”. This is valid guidance. Have you ever wanted to purchase a product or service, but didn’t, or went somewhere else just because you didn’t trust the person or the brand selling it? I know I have. How about the other side of the coin? Have you ever purchased something just because you really liked the person selling it? I’ve done that too. I’ve met people who have done such a great job that I’ll ask if they make a commission, and if so, what can I do to help maximize what the earn off me! But, trust isn’t as simple as making someone like you or having a professional sales page on your website. Many factors, most of which are very subtle, contribute to building trust. Gaining a prospective client’s trust is a powerful and vital first step, but this will get you nowhere if you can’t move them to the next stage in your sales process. We need to be moving our prospective clients from “I need a solution” to “I need your solution, now”. But, conversion isn’t just about making the “sale”. Conversion in a sales process takes place at any point that your prospective client can make a decision to move forward. Going forward you will see/hear me refer to these as Conversion Points. In it’s simplest form, understanding conversion in the sales process means being able to truly analyze what your prospective client may be thinking at every stage of the process. Although this is far from an exhaustive list, here are three things you may not think about as it relates to sales conversion in your business. 1. What is the level of commitment required by your prospect to move to the next stage in the sales process? 2. Does the depth of information reflect the above level of commitment? – An email in exchange for a 1-page cheat sheet is often a no-brainer with little more than a headline outlining the value if it solves a problem, but investing $40,000 in a new car is likely to require reading through specs, ratings, watching videos of real people reviewing it and then actually test driving it. 3. There is only perceived value. If your prospective client cannot assess the value of what you’re offering in their head BEFORE they learn the investment, the sales process will usually be much longer and you will be less likely to close. But value is 100% subjective (yes, even with currency – if you lost $20 today it may not be a big deal based on your financial situation, but for someone else, it could mean not being able to put food on the table) so, give your prospective client something benefit-based to act as an anchor for them to build the value from. If you can master the concepts and the implementation of Trust & Conversion in your sales process and business, you will see your sales and revenue results rise significantly. And if you really want to raise your Trust & Conversion in your sales conversations, go ahead and grab my 5C’s of Successful Sales Conversations to guide you through converting your prospects into 5-figure sales.